An upscale mall in South Delhi has a Coca-Cola vending machine that not only dispenses Coke, Thums Up and other beverages of the firm but will very soon connect India and Pakistan.Once a similar machine is installed in Karachi or another Pakistan city, users of the two vending machines can see and virtually touch each other, a person in the know said. The beverages major has quietly launched an online campaign that seeks to connect people in not-so-friendly countries through vending machines, starting with India and Pakistan this year. “This year, two countries will show that what unites us is stronger than what sets us apart and come together to share a Coca-Cola,” says the commercial launched on YouTube. A company spokesperson said it was too early to comment on specific plans, on how the beverage maker plans to scale up the concept. This world peace initiative is part of the firm’s happiness project. “A moment of happiness has the power to bring the world together,” it says. In another initiative, Coca-Cola recently set up a ‘hug machine’ in Singapore-a vending machine with red and white message announcing the consumer to ‘hug’ it, after which the consumer would be given a free Coke. 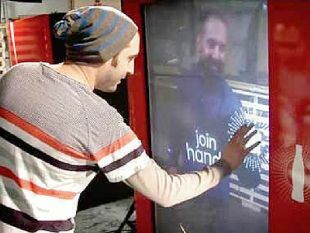 The ‘hug machine’ generated 112 million impressions within one day. In Istanbul, it had installed a vending machine that gave away free Coke if people could prove they were indeed a couple. Coca-Cola is spending heavily on social media globally, though the spends are still small compared to what it spends on traditional mass media. “Brands can’t work remotely anymore so it is important to listen and engage to consumers,” Wendy Clark, senior VP, integrated marketing communications and capabilities, at Coca-Cola had told ET last month. “We make consumers part of our marketing channel, sharing content and engaging with them all the time,” Clark had said, adding that the company was looking at investing in innovative ways to connect on social media. On a day when Pakistan foreign minister Hina Rabbani Khar’s offer for talks received lukewarm response here, Pakistan high commissioner Salman Bashir turned out be the real game-changer as he said that Islamabadwas willing to address all Indian concerns over LoC, including its demand for a probe into the mutilation of the bodies of Indian soldiers. 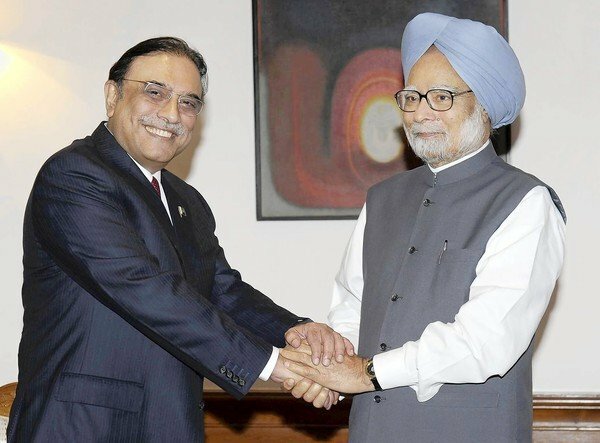 In an exclusive interview to TOI, Bashir said: “Essentially, what the Pakistan foreign minister has said is that Pakistan is willing to discuss all Indian concerns, especially those related torecent LoC developments with a clear objective to ensure respect for ceasefire along LoC.” It was Pakistan’s refusal to give any such assurance that had forced India to harden its stand and provoked PM Manmohan Singh to say that it can’t be business as usual with Pakistan. Asked if his assurance included India’s demand for investigations into the beheading of soldier Hem Raj, Bashir said, “When we say all concerns, we are not excluding anything…I believe all civilized people, no matter where they are, would be appalled by the gruesome incident”. However, Bashir added that for India to accuse Pakistan of the act without any probe was still not “understandable” for Pakistan. Bashir reached out to the Indian people saying that they should not look upon the Pakistanis as “insensitive” or “inhuman”. In what is likely to soothe frayed nerves here further, Bashir did not mention any international role, including the UN, while talking about investigations into the incident. “We want that both sides at the military level undertake their own investigations and use bilateral channels to get to the bottom of the incident. We are also concerned about ceasefire violations that have resulted in several casualties on our side but for peace to prevail we believe that the way forward is to talk to each other instead of getting into mutual recrimination,” he told TOI. While doubts have been raised about Pakistan’s commitment to MFN status for India, Bashir also brushed that aside saying that the “in principle” decision still stands and Islamabad will continue to seek better trade ties with India. He, however, added that for this it was important the positive atmosphere prior to the LoC flare-up was not vitiated. Bashir said that he found developments like the return of Pakistan hockey players and move by India to stall visa-on-arrival for senior citizens “troubling”. “I think when there are multiple issues, both sides need to communicate more and not allow iron curtains to descend”. As he pointed that there have been no “impulsive” reactions from Pakistan authorities to the statements made by Indian leaders, including Manmohan Singh. He said Pakistan still looked upon Singh as a man of peace who is very well respected in his country for his initiative for dialogue between the two countries. Bashir said Pakistan was not proposing any time frame for Khar-Khurshid dialogue. “We have made an offer and the two most important words are ‘dialogue’ and ‘de-escalation’ – the rest is a question of form and modality,” he said. Talking about the deep sense of hurt in India over the LoC incident, Bashir called upon people in position of responsibility and opinion makers to act responsibly and “not play with raw emotions”. “People of Pakistan are not insensitive to the sentiments of the people of India. Whenever there is a tragic incident – be it an earthquake or a terror attack or some heinous crime – ordinary people suffer from the same sentiment. But what I object to is the instinctive reflexes for Pakistan bashing and whipping up of emotions which has almost turned into a stereotype. It is important for saner voices to realize that neither Pakistan can wish India away nor India can do the same to Pakistan,” he said. iPakistan is simply an intitative to bring Pakistan to the world and the world to Pakistan. 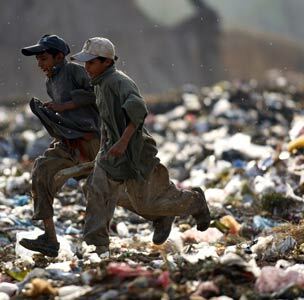 iPakistan ia a group of university students and young professionals who are done whining about Pakistan’s image and want to do something about it. Most of them are studying in foreign universities and so have first hand experience of various kinds of stereotypes that Pakistanis overseas face as well as the tarnished image of the nation is portrayed in other countries. Sadly, terrorism has become synonymous with Pakistan. There was this one time when a team member of this group was asked as a serious question by a Chinese students : “Does your family have any Taliban?” IMAGINE! So iPakistan and iLahore are collaborative efforts about changing this wrongly propagated image, and even if we the group members are only able to neutralize one person’s opinion, they will feel happy that they made a small difference. He is the guy most pissed about Pakistan’s image and hence the one who came up with iPakistan and iLahore. He studies Economics and Finance at the University of Hong Kong and is particularly interested in Development Economics. Reads up on Chinese economy a lot and plans to heavily promote Chinese recipe of economics success, and apply it to Pakistan with a few unique ingredients of his own, through the Business section of ilahore. Mr. Khalid Malik is a famous Business Studies A-Levels teacher in Lahore. He is a visiting lecturer at various top schools including LGS Defence, LGS Paragon, SICAS etc. Recently he has been gaining further acclaim for his efforts to get the beloved festival of Basant, back to the people of Lahore. Although i have crippled my four senses while Majoring in Economics and Finance but, the sense of sight still stands to fight because it’s all about living to look ravishing. Hassan is an engineering student at the University of Hong Kong and claims to be very ‘Wisdomistic’. Abar is an active member of the Muslim Scoiety at the University of Hong Kong and wants to share his passion for Islam and peace through ‘religion’ ilahore. There is no single description which fits Ali, and you will get to more about him andh is personality based on his upcoming awesome humour at iPakitsan. Hinna did her Masters in Mass Communication from the University of Surrey and has worked in RBS for several years. Hamza is a Biotechnology major in the University of Hong Kong and claims that there isn’t a single article/ blog on metal music that hasn’t passed through his eyes. The awesome duo loves dining out and usually are present at every restaurant opening. Sonica and Rehman are from Pakistan, Shirin and pulpit from India and they are typicals, fighting and arguing over Kashmir, Sania Mirza and other crucial issues on a day to day basis. Completing her BBA in Wealth management at the University of Hong Kong. Loves Pakistan and is hoping to represent the real Pakistan through iLahore. But they are different too, in the sense that they love each other and want to extend their love to the entire region! Pakistanis for Peace Editor’s Note– Groups like iPakistan and Friends Across LOC are attempting to do the same things that we here at Pakistanis for Peace are doing as well and that is to bring the people of India and Pakistan closer together. We feel that the only solution to Pakistan and India’s problems and indeed over a billion people of the sub-continent is through a dialogue and peace. The neighborhood can not suffer another war between the two, which surely would be nuclear. Let’s hope that the our vision of peace between India and Pakistan succeeds and Pakistan is able to rid itself of a terrible image globally that its wonderful people do not deserve.